The course runs for eight weeks, one hour a lesson. A 30 page ring binder instruction manual will given out on the second lesson. Also on the second lesson a Instructional Dvd will be given out. This Dvd will cover everything that you will be learning within the eight weeks. They are incredible helpful for instance when you're at home the next day and you begin to practice what you learnt, however half way through you can't remember the next move. This is where Dvds come in handy, just play the Dvd watch for the spot where you are having trouble remembering which is usually enough to jog your memory and your off again. Now a word of caution, Dvds have their limitation, they are great for jogging your memory, but it is impossible to learn Tai Chi from a Dvd due to subtleties of alignments. After the first lesson you will understand what I mean. If you wish you can attend more than one lesson a week at no extra cost. What this means is that, you are not restricted to just eight lessons over the eight weeks. If you joined up for the Mt Gravatt class on a Monday evening and by Wednesday you are having trouble remembering the movements. Just turn up at the Mt Gravatt Thursday morning class and have the same lesson at no extra cost. You are not paying for eight lessons, you are paying for eight weeks. If you can fit multiple lessons into a week that's great, it makes learning that much easier. The way the eight course is structured makes it ideal for shift workers. For example, the lesson that is given on a Monday will be the same as the lesson given on a Friday. For the whole week the same lesson is given throughout all of Greater Brisbane. So say if you sign up for the Wavell Heights Wednesday morning class and you can't go to your following Wednesday class due to shift changes, you could go to the Thursday evening class that week and make up the lesson instead. And then revert back to your Wednesday morning class or if you want, stay at Thursday or jump between the two. It's up to you. There is no charge or obligation for your first lesson Just wear something loose and comfortable and foot wear that is flat. 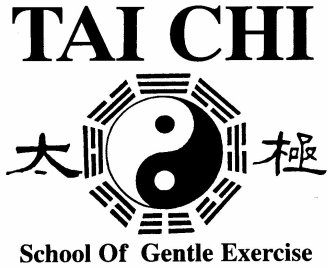 No mat or towel required!.Your instructor will give a talk on the principals and benefits of Tai Chi. After this you will be invited to to take part in the class if you attend the first lesson of the course and you decide not to join there is no charge for that lesson. For those that decide to take up the eight week course their eight week course then starts on the first lesson. There are two ways to join. The first way is to print out the Pre-Booking & Payment Form Pre-Booking & Payment Form attach your payment and post it too Tai Chi School Of Gentle Exercise, 53 Cowen St, Margate 4019. By pre-Paying you will receive a Free Music & Instructional audio CD, Value $15.00. The second way is to phone the office and reserve yourself a place to avoid disappointment, as we try to keep a ceiling on class numbers to maintain the quality of tuition.